Simple style. Metallic meets modern. Lightweight, easy and comfortable. 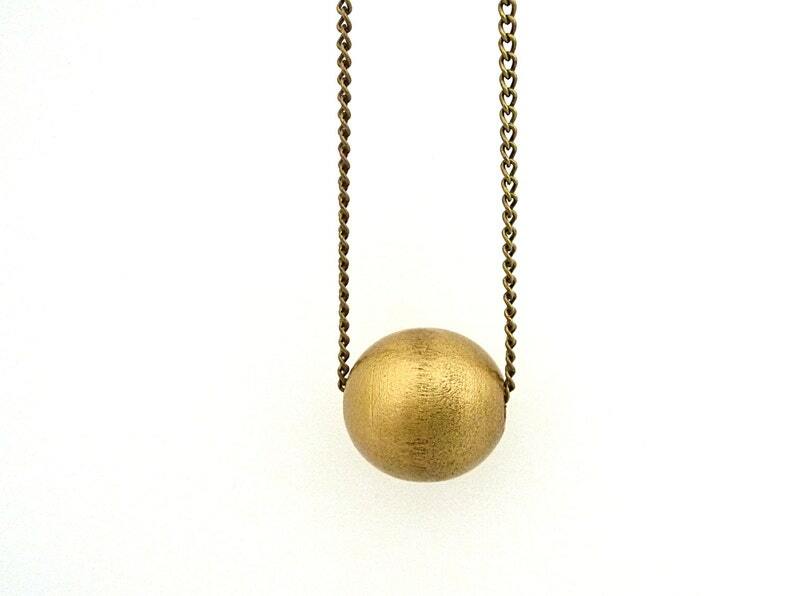 A single 3/4" wood bead, painted in metallic gold, hangs on a 28" long antique brass chain. No clasp to fuss with, the chain is long enough to slip over your head. Your necklace will arrive in an organza bag, ready for gift giving or receiving! Want it in another color? Just message me. I love custom orders.